Home » What Road Bike Tires are Best? Which road bike tires are the best? There is not a simple one tire fits everyone’s requirements. The answer depends on do you value speed, puncture resistance, weight, durability, or comfort. Some tires excel in each of these areas, but none truly conquers them all. The tire that used to top them all was the Continental GP400. It was the number one choice for roadies for years. It has now been replaced the GP500, and time will tell if the new tire is a worthy successor. To pick the best tire for speed, I am not going to recommend a brand or model. I am going to suggest a tire width. For decades the theory has been that narrower tires are faster. Eventually, we all settled on the idea tires that were 23mm wide, thanks to thorough scientific studies. We now know that 25mm tires are faster than 23mm tires, but only at high pressures. We would be looking at 110psi plus for 28mm tires to be faster than a standard 23mm. The reason for this is due to tire contact patches and rolling resistance. We initially went for high-pressure 23mm tires, as we all believed that the contact patch between the tire and the ground was minimized. The smaller the contact patch, the less friction there is to overcome, and the faster you will go. 25mm wide tires have now been shown to have a different shaped contact patch. The 25mm contact patch shape turns out to have a lower overall area touching the ground. We now then have less rolling resistance. The good news is that this is also true at lower pressures. Lower pressures mean that your tires will help to kill off road chatter. You will have a comfier ride and more speed. The issue with lower tire pressures is that you will become more prone to punctures. None of us want that, so we can either pick a set of puncture resistant tires or try tubeless. Let us start with puncture-resistant tires. Please notice the word resistant and not proof. There is one road tire in the puncture resistant category that stands head and shoulders above the rest. That tire is the Schwalbe Durano. They will ward off the worst of punctures. I have stuck tacks into them to demonstrate this for people before. They have one drawback, and that is their weight. The cost of not having to fix punctures is worth its weight in gold in my humble opinion. The other option to try is tubeless. Tubeless pretty much means exactly what it says. You need a rim on your wheels that can take tubeless tires. Once you have found a rim, then it is a case of making it tubeless-ready. You will need special valves and tape. There are a lot of different tubeless tapes on the market, but one of the best tapes is not from a bike company. It is Gorilla Tape, and you should be able to get that from your local hardware store. You use the tape to seal up the spoke holes, and it also levels the inner surface of your rim. We don’t want air to escape, so that is what the tape is doing. You also want to fit the valves as tightly as possible. Then it is just a case of installing the tires and putting some sealant into the tire. The sealant will instantly seal all small punctures. It is also not as simple to fit the tires as I have made out there. Some tires will be easy to install and others that will make you wonder why you ever thought this was a good idea. I have found that any of the tires in the Specialized 2Bliss range are pretty easy to fit and pretty light. I would also recommend something like the Schwalbe Tire Booster for getting your tires on for the first time. It is a canister that you pressurize with your pump. It then releases the air into the tire at a much faster rate than you can pump. The faster rate pushes the tire into your rim and seats it without hours of swearing. Tubeless might seem easier than fitting tubes, but the setup can be a nightmare. It is worth it though because you will have less road maintenance. You can also lower the tire pressure to give you more grip and comfort. Tubeless will also fit into the lightweight category. You will have saved weight by going tubeless over a tubed setup. 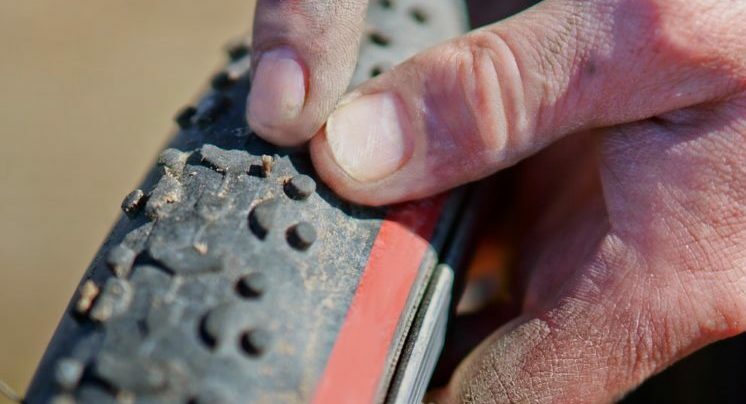 If you do not fancy going tubeless try Vittoria latex tubes inside your tires. They will give you an almost tubeless weight and feel, but you will have to pump your tires up regularly. Specialized again have an excellent choice for those after a lightweight set of tires. They have their S-Works Turbo Cotton tires. They only weigh 230g per tire. That is insanely light. The downside is that they don’t like the rain, and they wear down pretty quickly. They are a great choice for a day of racing, but possibly not the best choice for day-to-day riding. Combining them with latex tubes will bring a new feeling to your bike though, and you should try them at least once in your life. If you fancy a more durable set of lightweight tires, tires that are more durable and not as lightweight as the Specialized offering, then there is the Vittoria Corsa G+. They weigh around 25g more than the Specialized tires, but they work fine in the rain because they have a lot of grip. That grip comes from the G+ part of their name. They are infused with graphene. The graphene acts like a small computer in your tires. It changes the feel of tires depending on how they are loaded. It is almost like magic how much grip these tires give you. So, you can see there are a few different great tires, and they can all lay claim to being the best. Just keep in mind that they serve different purposes. All you have to do is decide on where your priorities lie and pick the tire that is best for you.